Heroin users are depicted in this stock photo. THE LOOP — Heroin users in the United States cost society about $51,000 per year in terms of treatment, infectious disease, prison and lost productivity, a team at the University of Illinois Chicago has determined. UIC pharmacoeconomists led by Simon Pickard and Ruixuan Jiang estimated that 1 million people in the United States are "active heroin users," costing the country $51 billion per year. Jiang said the number of heroin users in America doubled from 2000 to 2013, rising from one per 1,000 individuals in 2000 to two per 1,000 individuals in 2013. Pickard said in a press release about the study that users often start using heroin after becoming dependent on prescription opioid painkillers. Because of the high cost and difficulty in getting prescription painkillers, opioid abusers often turn to heroin. 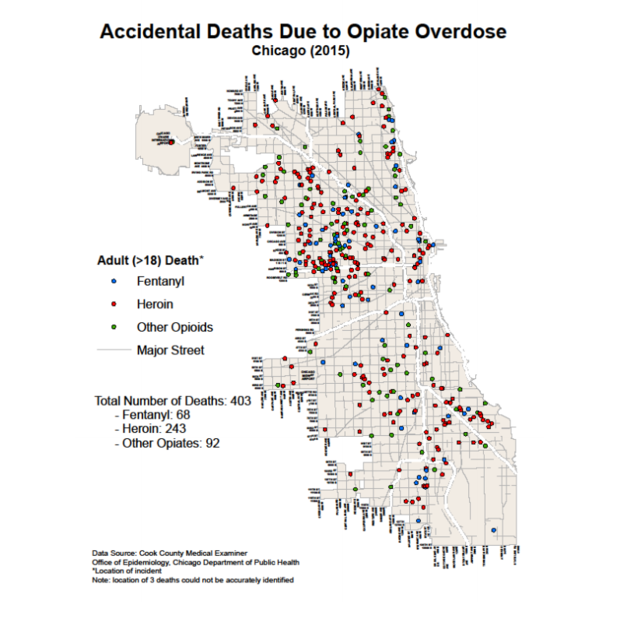 A separate Chicago-Cook Task Force report on local use released in October concluded "the opioid epidemic has hit Chicago and the surrounding areas hard." 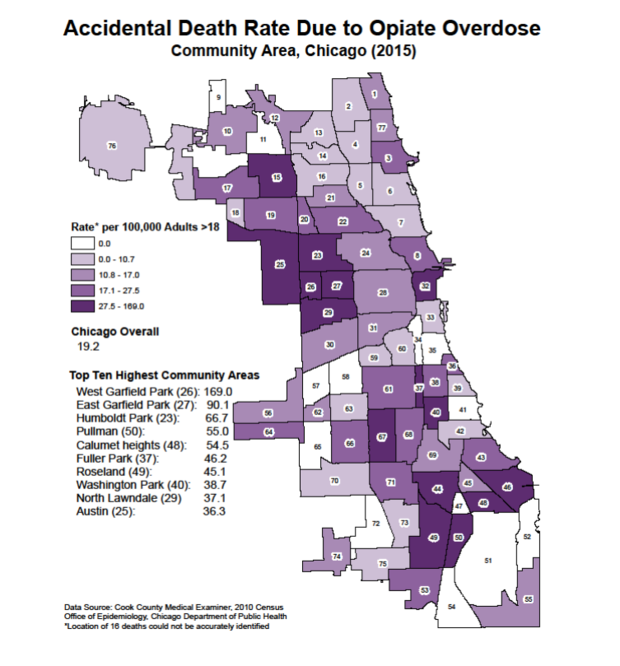 In 2011, Chicago and surrounding Cook County led the nation in heroin-related emergency department visits with 24,627, the task force said. • Neighborhoods cited as "treatment deserts" include Austin, East and West Garfield Park, the Near West Side, Humboldt Park, and West Englewood, among others. • 14 percent of men tested positive for opioids after being arrested in 2013 tested positive for opioids. In a February announcement of the arrest of 15 people selling heroin on the South Side, authorities said most of the heroin that has been confiscated by police in the area has been 95 percent fentanyl. The prescription pain-killer is believed to have been smuggled from China into California, where it is mixed with heroin from Mexico, police say. Without a meaningful public health effort, the number of heroin users is likely to continue to grow, Pickard said. Without such an effort, the "downstream effects" of heroin use, including the spread of infectious diseases and the cost of incarcerating heroin addicts, "would continue to increase the societal burden of heroin use disorder,” Pickard said.